Island Lake ECO Camp has been running the Ecology Day Camp program at Island Lake Conservation Area for the past 22 years. 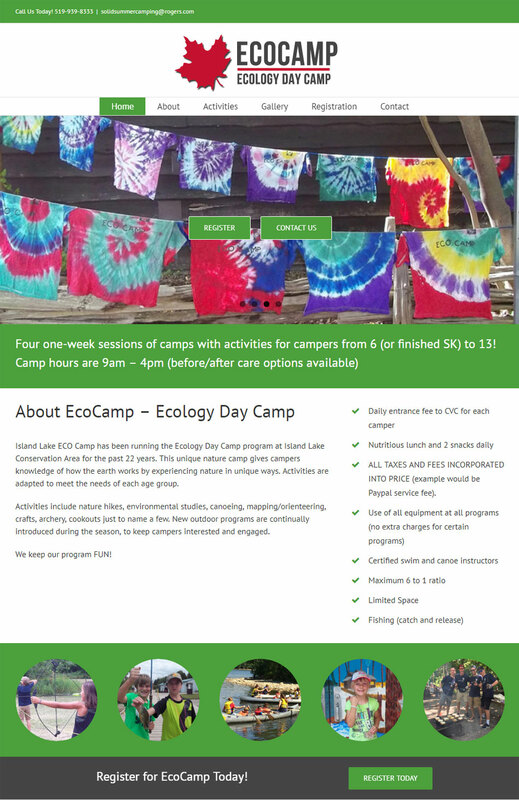 This unique nature camp gives campers knowledge of how the earth works by experiencing nature in unique ways. Activities are adapted to meet the needs of each age group.